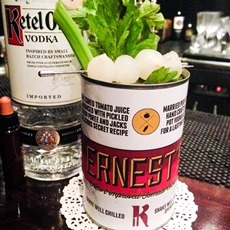 Chris Hysted, Australian Brand Ambassador for KETEL ONE, looks into the intricacies of this iconic cocktail. Introducing the best cocktail bartenders from Hong Kong, the Philippines, Australia, Indonesia, Japan and Korea…. There's never been a better time to be a bartender in Asia Pacific. Ageing a badly made cocktail is not going to make it better!